If the announcement of Presidential election ignited the fire for regime change, the next one month will fan the flame. In the first fortnight it will reach a crescendo and never diminish in the next. In the fever heat of the baptism of fire, a new political order wished for and prayed about can emerge. It is anticipated that the resounding will of the people and the decisive force of the international community will help bring it about. The forces that labored for the protection of the good, the destruction of evil and for the establishment of righteousness are coalescing into a single entity. With this hope, the vote that tilts will be for the opposition’s common candidate Maithripala Sirisena. 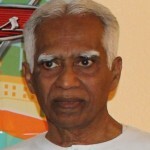 If Rousseau in his mature years of wisdom were to live in Sri Lanka now, what will he say? Citizens born free and wanting to be free, are found everywhere in chains. Even to the convinced and the converted he will belabor his theory that only with the consent of the people can a ruler rule. Implicit in the thesis is the exhortation to overthrow the regime when consent is lost. At this precise point of time duty and responsibility command the people of Sri Lanka to perform a sacred task – to engage their sovereign right to reinstate democratic governance. Responding to the call, they are poised to overwhelm the might of the state with the power of the ballot. The above sub heading,the caption of an article of July 26, 2014 has evolved into reality by December 8. “Rarely in history do we see leaders of various hues seeking to fuse together for a singular purpose. Rarer still is for a very wide political spectrum to secure a Presidency through a consensus candidate only to terminate it”, the writer had said. Why this determined bid? Because the body politic has become terminally cancerous under a malevolent dictatorship of the incumbent President. So passionate is the peoples’ urge to abolish thePresidency and to transit to civilised times. Unity, politically and ethnically is today a rare first, to effect a regime change, to cleanse the body politic and to institute a new order. In that article the writer concluded, “Concerted and tireless action can give it momentum. If the emerging leadership plays its cards well, the incumbent regime will tremble at the impending upsurge”. As the country can see, adroit play is at hand. Tremors are already felt and a political Tsunami in the offing is perceived. What is now a subterranean surge will soon be a visible upsurge. The landfall will get recorded on January 8. One among the senior ranks of the country’s political leadership and one of those few seriously considered for Opposition Presidential candidacy made a very sober assessment of the elections. He also spoke of the merits on which the opposition candidate scores. In contrast was the execrable maladministration of the incumbent President. In his extensive and intensive interaction with the people his sense tells him intuitively of the massive groundswell for the common candidate. Mr. Jayasuriya highlighted the groundwork done in the last three years, to take off once people’s power vests authority in their hands. He referred to the labours of economists, administrators, lawyers, engineers, patriots and politicians and blueprints are at hand for a new political and social order. The task of the new regime is to cleanse the land of its evil debris. First 100 days will be devoted to abolish the Executive Presidency. Comprehensive reordering of the state apparatus will follow. 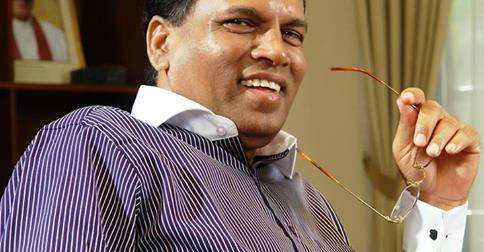 He asserted that Maithripala Sirisena with clean hands and amiable ways enjoys the confidence of all parties. The current regime purports to owe its legitimacy to a facilely written Mahinda Chinthana. Copious excerpts are placidly quoted from this VEDA. They have as much sanctity as Stalin Chinthana with cheering retinues at the ready to chant its magnificence. I wonder how many of the 60,000 officers at senior management level, perused or analysed the investment magnitudes, leave aside strategies for sourcing funds. Little wonder, Public Debt in 2013 stood at Rs 6.793 trillion. It was Rs 2.233 trillion in 2005. To view in perspective a comparison is helpful. While Malaysia’s Public Debt in 2013 was 54.6% of GDP, Sri Lanka’s was 78.5%. In sourcing foreign funds and in the management thereof, what was the pattern between the two regimes in 20 years – 1994 end to 2014 end? Sri Lanka’s foreign policy has underpinnings in Aid, Trade, Investment Flows and security. Vice Versa is true as well. In 1956, Ceylon’s foreign relations changed with SWRD’s policy of dynamic neutralism. A balance was brought about from a heavy western orientation. The nation benefited from this new equilibrium. A chequered history followed in the next half a century. The changed regime with a new President, supported by stalwarts among others by Chandrika, a former President and Ranil, a former Prime Minister will bring a refreshing ethos to governance. 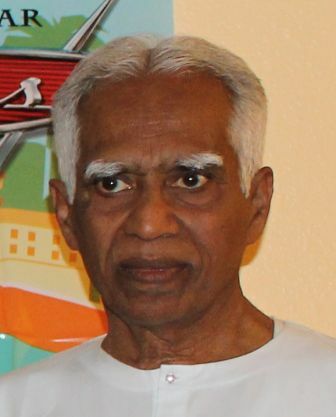 The former is the authentic voice of SLFP and the latter the longstanding leader of UNP. People look forward to domestic policy and foreign policy buttressing and cross fertilizing one another. In foreign aid disbursement, who ranked first for SL in 2005? Japan at $ 238.4 Mn, US at $ 17 Mn and China at $ 10.2 Mn. Now it is China whose commitments of development assistance had risen to 38% of all foreign assistance in 2011. It was 3% in 2003. In the last three years inflows and pledges have grown exponentially. “Global and regional strategic reasoning behind Chinese development assistance is oftentimes undeniable”; Thus points out International Alert. It also makes bold to assert that this is “Building political capital in Sri Lanka”. The incumbent President is skating furiously and wrecklessly on thin ice. Thickness reduced and security impaired by his own fault ridden policies and actions. There is little solace to the people when the opposition is attacked or the minorities are persecuted. In a state of siege he will take the country into icy cold depths together with his family and cohorts. The prospects in the next 4 weeks are disquieting to the nation’s polity. It places all its bets on regime change which itself rests on a single pivot of a Free and Fair Presidential Election. When that itself is threatened by the Power that be, the people can but look plaintively at neighbours far and near. In desperation they glance to the North, to the East and to the West. “Stakes are high; therefore the incumbent regime will employ all and every means, not to mention extra-parliamentary measures to retain power’, is a view held widely by the intelligentsia and endorsed universally by the generality. Why won’t they, having gone through the rigours of violence at all elections, Provincial, General and Presidential for nine miserable years? They have already had a continuing foretaste of the coming one. Signals of dire danger are real but lost, when the warnings are couched in diplomatic language or gentlemanly words. Harold Laski’s stance it appears is that there is danger in being a gentleman.